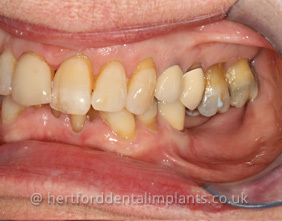 The final result was a tooth that looks exactly the same as my real teeth. 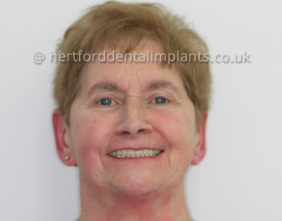 Hertford Dental Care is an excellent practice and I have no hesitation in recommending it for all dental care, but especially for tooth implants. After coming to terms with the fact that I was going to have all my top teeth removed, Gordon and his team put my mind at rest by explaining the various stages and processes of my treatment. 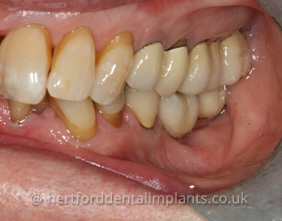 I never felt fear or pain during my treatment as Gordon and his team made sure I was comfortable at all times. 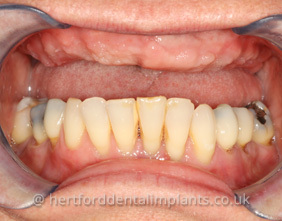 My biggest fear was the thought of being left without teeth whilst waiting for my implants to be fitted and waiting for the gums to heal etc, but I wasn't. 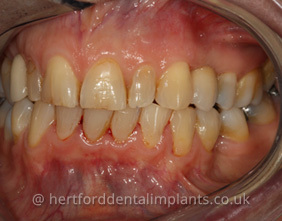 A denture was made prior to the removal of my teeth and was fitted the same day that my teeth were extracted. 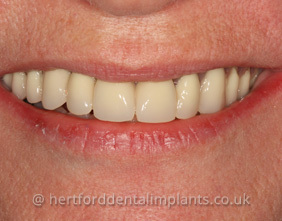 My permanent teeth were fitted when my gums had healed and I am so pleased with the result. 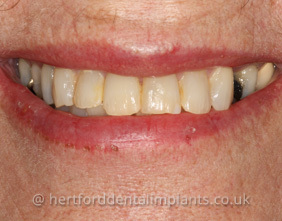 I now have a great natural smile and I forget that I am wearing a denture. 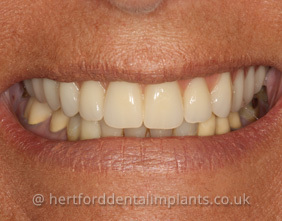 So a huge thank you to all the staff at Hertford Dental Care. 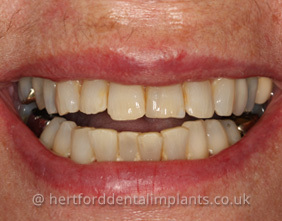 Click an image to find out more about this type of treatment. 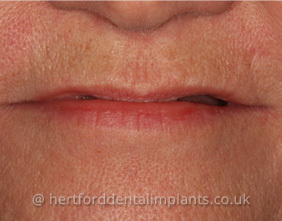 I attended Hertford Dental Care to discuss whether I would be suitable for two implants as there was a large gap where I had lost two molars. 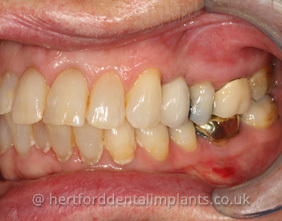 Mr black explained the procedure very clearly & answered all my questions in a clear & uncomplicated way. 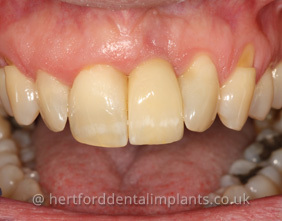 The staff are friendly & supportive and I am very happy with the results and pleased to get back to normal quickly. 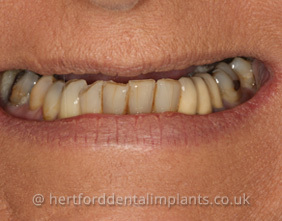 I continue to attend the practice & have been well cared for since my implants. 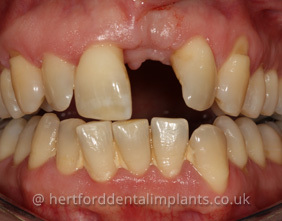 I have had no problems & would confidently recommend this procedure. 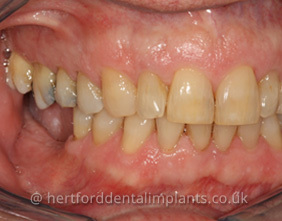 Four years' ago at a routine check-up, Dr Black told me that I was only chewing my food properly on one side of my mouth, because I had two double teeth missing at the back of my lower left jaw and the two upper double teeth above the gap were growing downwards with nothing to bite against. 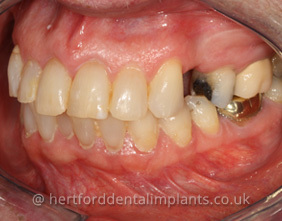 To totally rectify my 'bite' and chewing action, he also advised having the gap in the lower jaw restored. 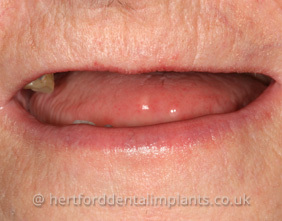 He suggested several options for this and as I did not want removable dentures, implants, I knew, were my best choice. 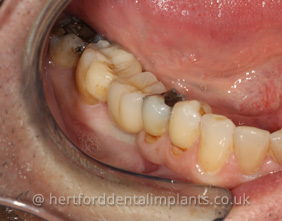 Dr Black said that if the bone in my lower jaw was suitable, he could carry out the restoration work. An X-ray found my bone was suitable, but this had to be confirmed by a CT scan. 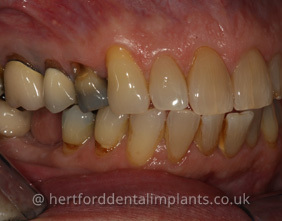 This was carried out and my bone was suitable for dental implants. 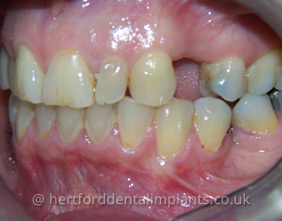 After work on the crowns was completed, work started on the implants and the whole process took approximately four months. I had complete faith in Dr Black, he was caring and compassionate and he explained each step to me as he worked. 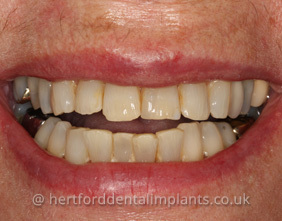 I felt no painful discomfort at any time and have been delighted with my new teeth. 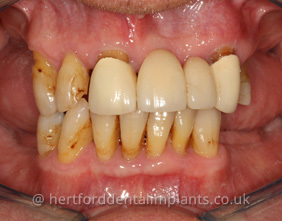 I have been a patient of Gordon Black at Hertford Dental Care, since he acquired the business. 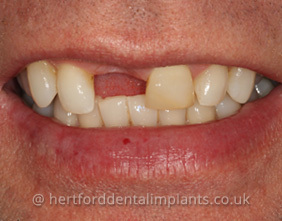 When I required an implant, he was the obvious person to carry out the procedure. 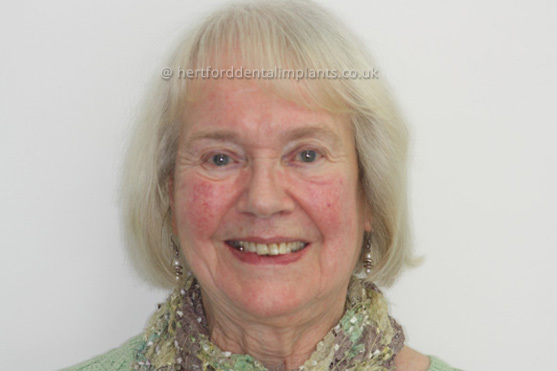 Hertford Dental Care is an excellent practise and I have no hesitation in recommending it for all dental care, but especially for tooth implants. 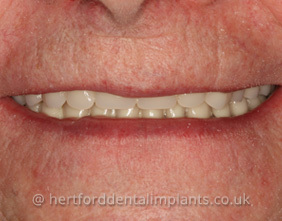 Having spent many years having crowns fitted after losing some teeth in a car crash I decided to go ahead with implants & a fixed bridge. 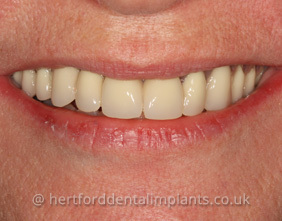 From start to finish my treatment was excellent many appointments over a year until my final one having my implants fitted. 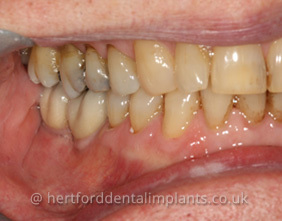 I chose to be sedated as it was a lengthy procedure & I woke up to a stunning set of teeth. 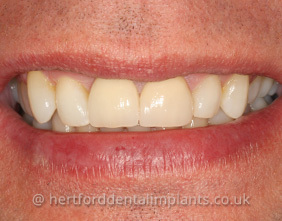 Even now 4 years on I get many comments on how great my teeth are I'm so pleased I had this done and would highly recommend having this as it gives you more confidence & changes how your face looks. 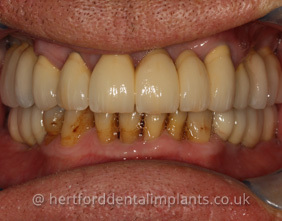 Gordon Black my dentist constantly answered all the questions I had each visit and always explained exactly what was planned for each visit so big thank you to him & his staff for all their care & consideration.